I’m grateful to GOD for giving me a vision as well as a plan. GOD also used My Grandson to inspire me and by this I mean My Daughter asked me to make a mat for My Grandson and without hesitation I did and completed it that very day. Upon completion My Grandson played on the mat burning some energy and went to sleep on his own. 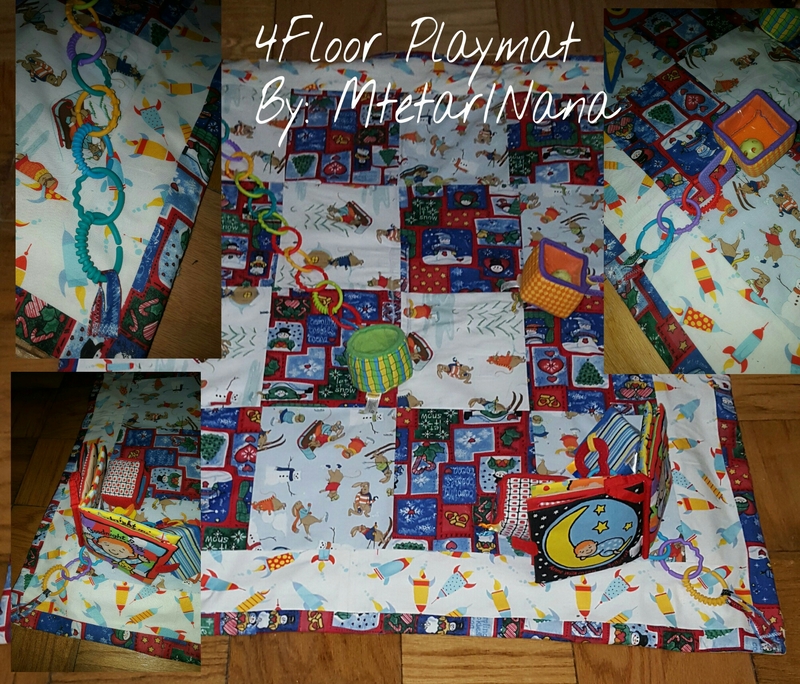 I added loops at the corners and sides of the mat which I’m calling 4Playmat Floor mat for babies. Plastic Rings/Links were also added to attach toys which he likes and enjoys playing with. This has inspired me to create more for The Glory of GOD. Blessings to you all, thank you for stopping by, clicking Like and reading. 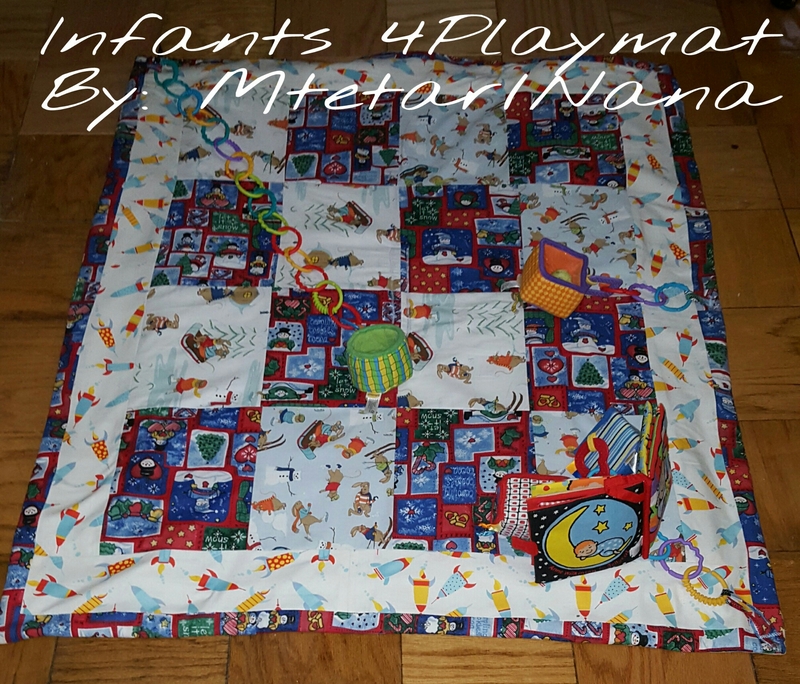 Posted in Blessed Baby Blankets and tagged aarp, Baby Play Mats, Baby Quilts, BurdaStyle, Creative Play Mats, Infants, LinkedIn. Bookmark the permalink.